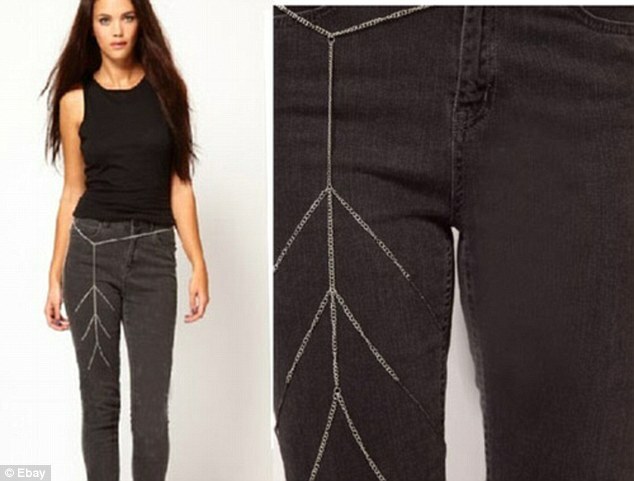 The trend of the moment is leg chains. From the traditional sumptuous designs to the less luxurious bohemian style, there is much to try with leg chains. Streets to college the leg chains are everywhere. This off beat fashion is all set to bring oomph this season. 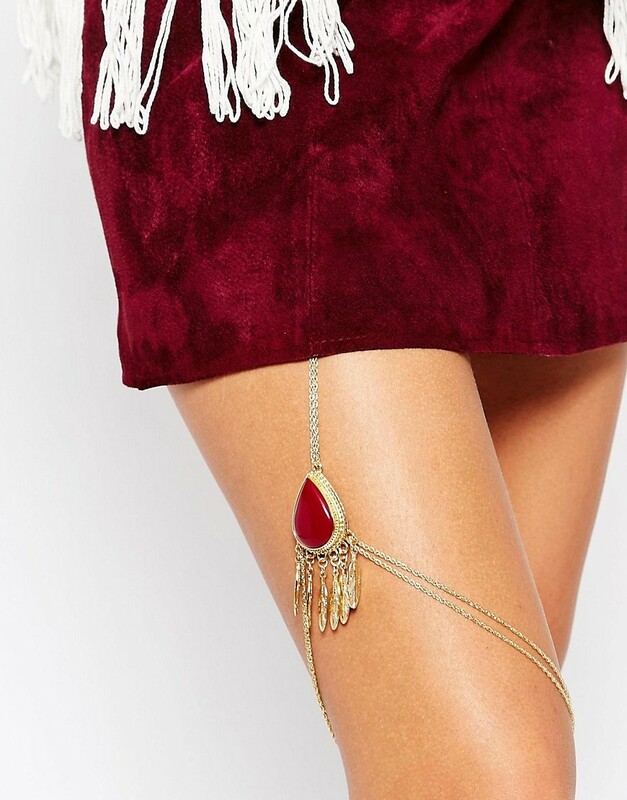 Leg chains are a growing trend in jewelry that you can use to dress up your legs. Much like a garter belt, they wrap around your upper thigh or are connected to your undergarments. The best thing about leg chains is that they can be worn with any dress. One can have it over jeans, lowers, short dresses or even carry bare legs as well. You can find the chains in multi colours like silver and gold . My favourite is the rich metallic. 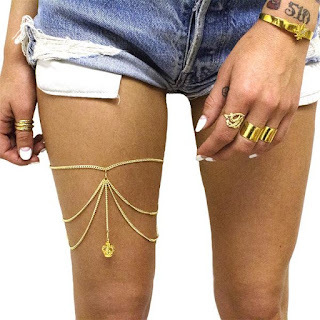 These leg chains are attachable to underwear or rolled around the leg are simple to carry mere eye catchy. A lot of different designs or vibe is associated with leg chains. The after waring look of these leg chains is beyond compare to anything you have ever seen before in leg accessories. This trend is sure to catch on quick, but you can be ahead of the game. Check out a couple of the styles we have to offer to complete your look with a leg chain.